In the previous article, Mission: Translating a website. Why?, we explored some reasons why businesses of all sizes dedicate part of their marketing budget to having their website translated into different languages to serve their clients better and try to gain more income and revenue. To some professional translators that are not acquainted with the practical translation of a website, performing such a task may actually seem a rather complicated procedure. In practice, it is not so complicated. There are several aspects that a translator needs to take into consideration before the translating procedure begins. These aspects are explored in this article. 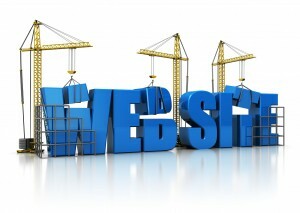 When I translate a website, I set my head in a mode that I see the product or the business as if it is in my ownership. A flow of thoughts and ideas rush in my head when I read the source file before I start the translation. Of course, I do not start rationally change the meaning of the source file and adopt it the way I would have written the copy written text, as this does in fact reflect the wishes and needs of the end client and do realize that the end client and the copywriter have probably spent endless hours to finalize the original text. What I do tend to do, though, is to try to see it from the eyes of the owner and produce the best possible final translation that would serve this text as better as possible making only necessary changes in the marketing aspect of the text. Then, while translating, I keep asking myself: How would I want it to sound if this was my business? Having a critical mind is vital when translating a website. A translator cannot simply replace words, just like in any other translation. Marketing skills are quite valued and necessary when translating a website, as the online content has a nature of its own; it is in fact a living organism. In other words, a website is the mirror of a product or a company, so a translator should try to keep it in a manner that would be attractive to the end reader. If time allows it, performing a simple research of other websites of the same or similar products may prove to be a fruitful move. How are similar websites translated? Localization of the content is a key factor in translating a website. Try to perform as many changes as needed, keeping in the back of your mind that the source text was written influenced by culture and way of life of another country. This text may probably not have the same cultural impact in the targeted market. Again, a critical mind is vital in this procedure. What we need to realize is that content that is already online, does not necessarily mean that is correct or that it can serve the interests of your text. Naturally, you may need to brainstorm up to a certain extend and possibly come up with fresh or new ideas. Again, if time allows it, it is wise to arrange a meeting with your direct client before starting the translation and share your thoughts and ideas. Have you ever translated a website into your native language? Is there a specific, set procedure you follow before you start working on your text?